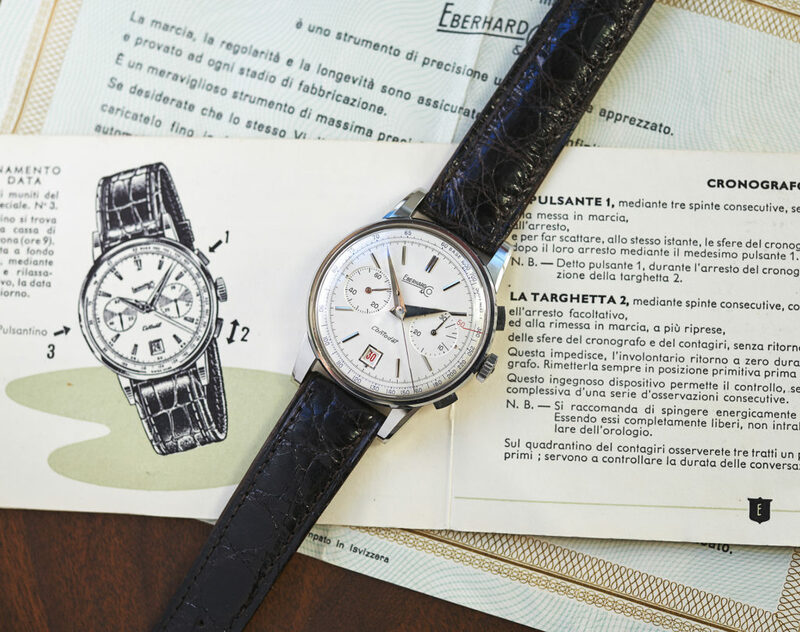 this very rare cremedial chronograph comes with papers and booklet from 1958. 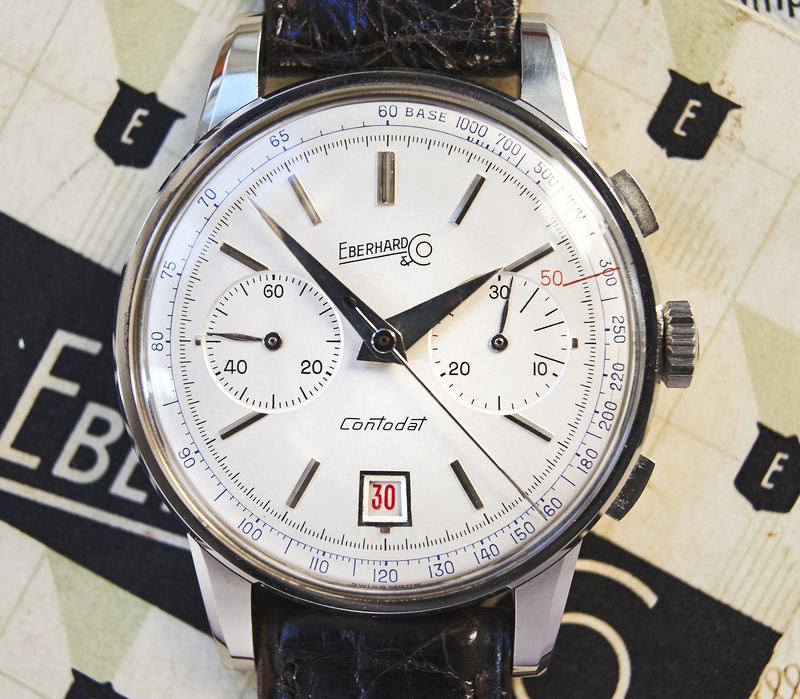 A Contodat steelcase (38mm +crown) itself is a very rare watch that doesn´t appear often on the open market. 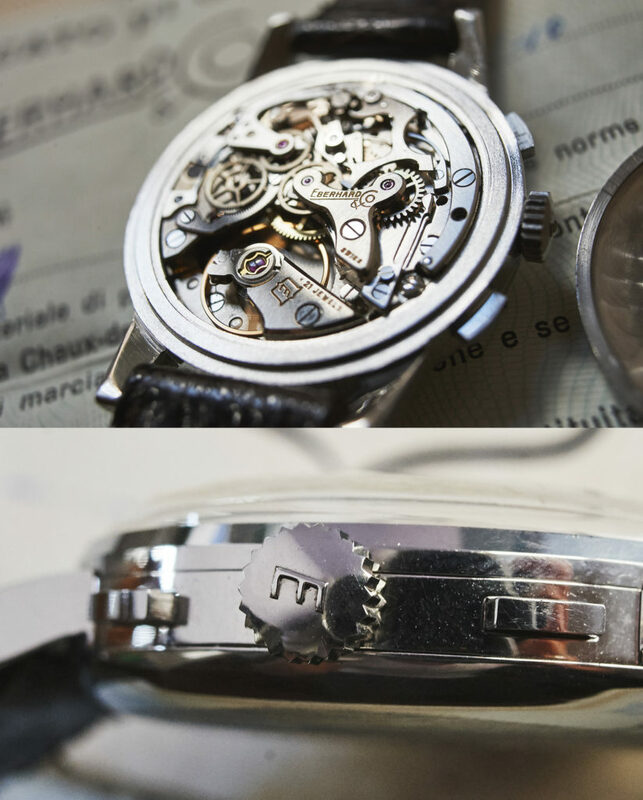 If one comes up it will be in poor condition in most cases as these watches are more or less 60 years old. 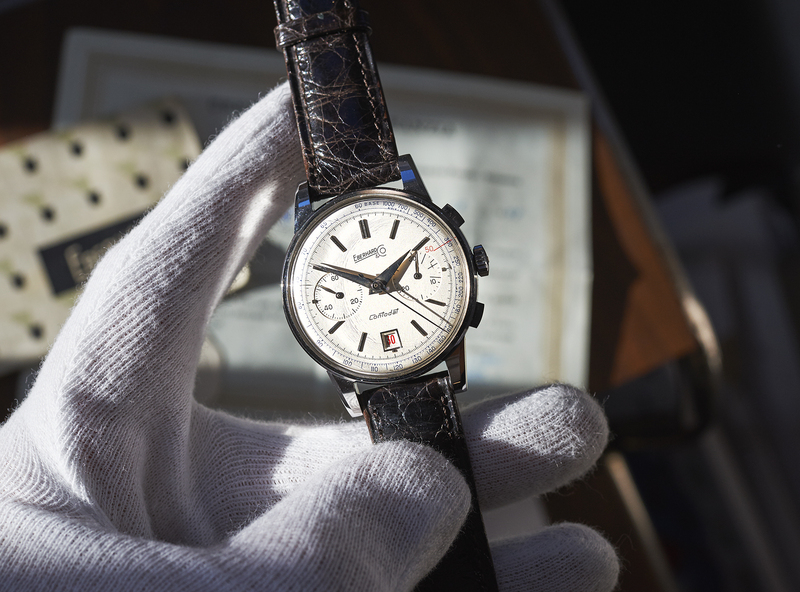 This mint piece here can not have been worn often. 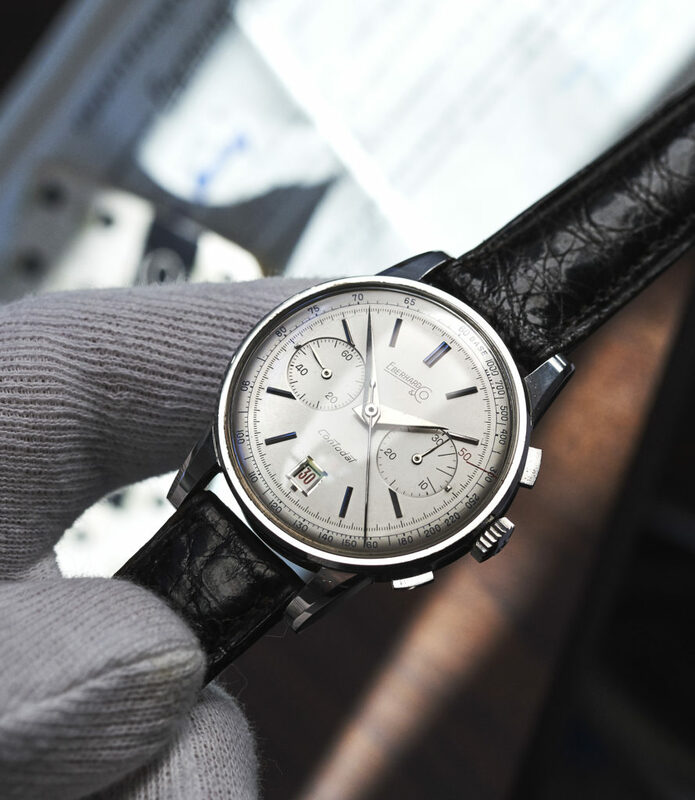 It is almost unscratched and in absolutely unmolested authentic condition in all parts. 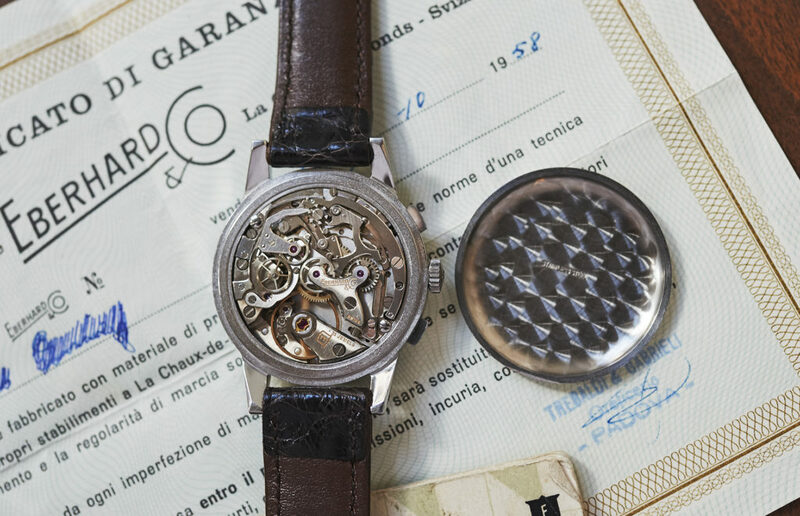 And if this was not enough, it even comes with it´s original guarantee certificate and the Contodat booklet. 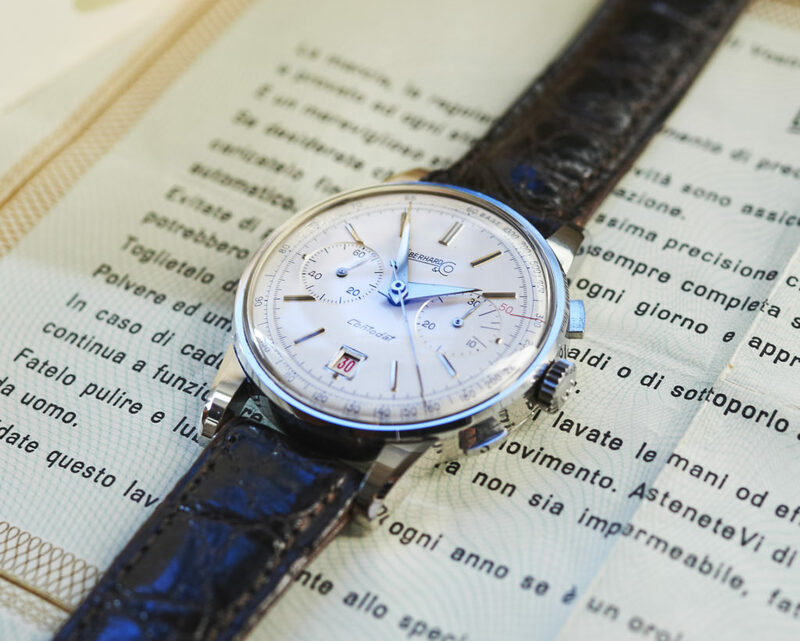 It was sold in 1958 at Trebaldi & Gabrieli in Padova, Italy to a gentleman who´s name is crossed from the paper (but is still readable). 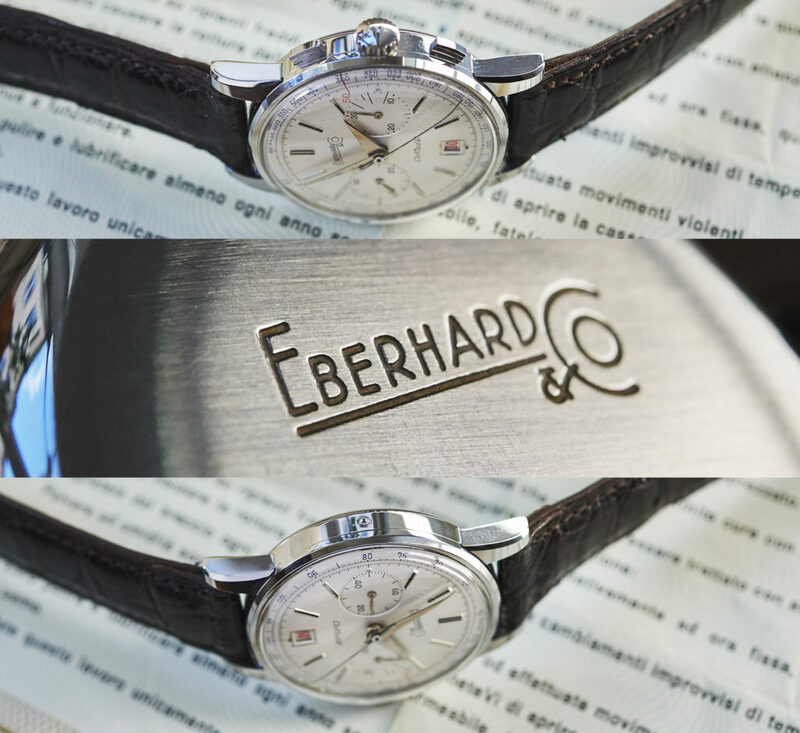 The Eberhard & Co caliber 310-82 is, as well as the whole watch, in unbelievable good condition, working perfectly and strong in all functions.